… you could access your inner guidance any time you needed it? … you could gain crystal clarity every time you faced a difficult decision? … you could easily and effortlessly turn your dreams into reality? This, my friend, is the power of Tarot. Tarot is the mirror to your soul. And every card is an invitation to go deep within and connect your daily life with your divine purpose. That’s why I wrote, Everyday Tarot – to help you unlock your inner wisdom and manifest your future, with Tarot as your guide. 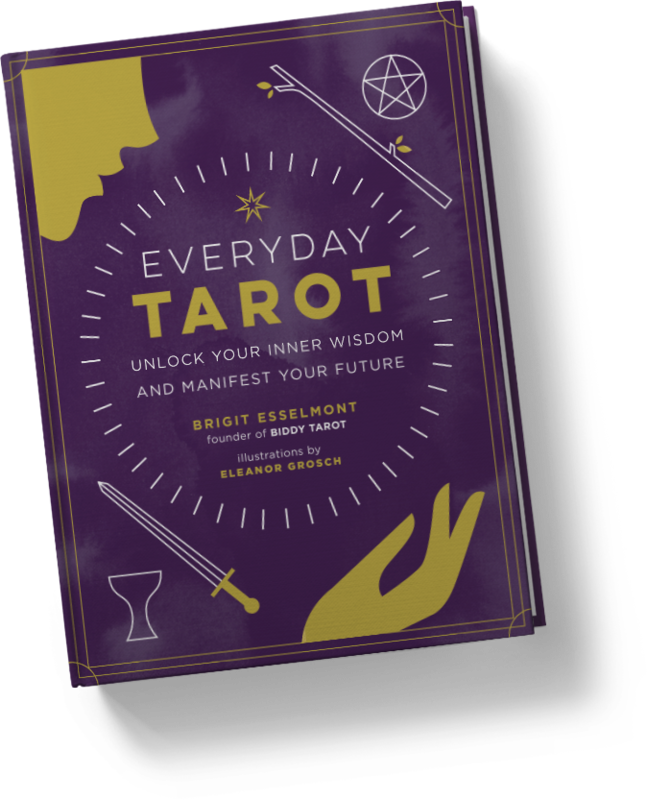 Everyday Tarot is a practical guide, filled with actionable tips, soulful activities and loads of Tarot spreads to help you access your intuition and manifest your goals and dreams in your everyday life. You’ll discover how to use the Tarot to manifest your wildest dreams, create love-fueled relationships, set and achieve your goals, fulfill your soul’s purpose in work and life, make important decisions, and bring the Divine into your life through everyday rituals. "The beauty of Brigit's book has been guided by the stars. She is so practical and grounded (as a Taurus) it explains why this book is so useful. The Tarot is an ancient magical door that Brigit has made simple and clear. Welcome to practical magic - brought to you by a brilliant writer and an even better Tarot reader - Brigit." "What if tarot wasn’t mystical mumbo-jumbo but instead the ultimate tool for self-care, teaching us to access the deepest part of our own psyches? Everyday Tarot provides a plethora of practical tips to make tarot truly an everyday tool for merging intuition with intention. Right from the opening paragraphs Everyday Tarot will have you smiling and nodding along as it guides and illuminates your life as a modern day mystic." "Everyday Tarot is a thorough book that helps you connect with your intution and integrate Tarot into all facets of your life. Brigit gives you all the tools you need to develop your own style and relationship with the cards, through spreads, her personal experiences, sample card pulls and more. I highly recommend it for Tarot enthusiast and processionals alike!" When it comes to Tarot, why fortune-telling is out, and intuition is in – especially if you want to create your best future and manifest your goals. 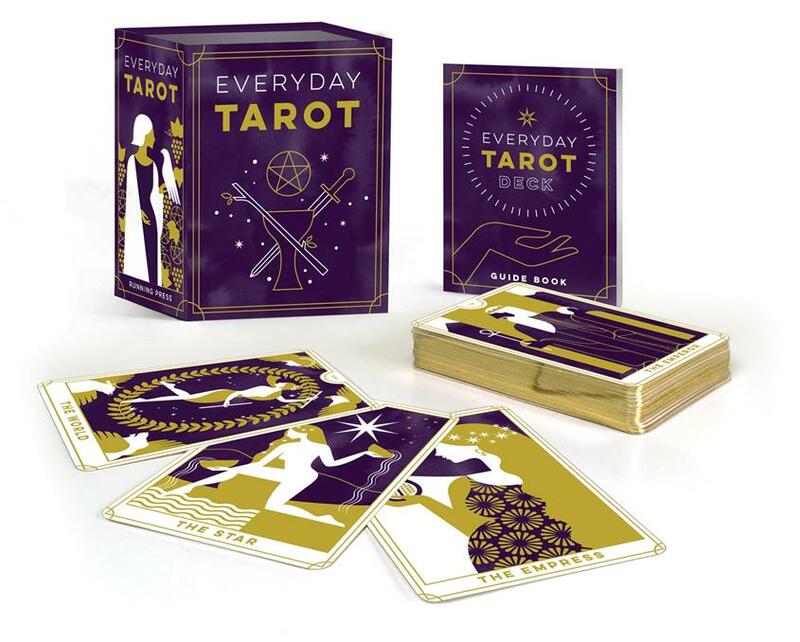 Everyday Tarot has been designed for people who are ready to say YES to their intuition and who are inspired to create their future, using Tarot as their guide. If you’re new to Tarot, I’ve got you covered with a crash course on how to read the cards so you can quickly and easily dive into the Everyday Tarot activities without having to be a master of Tarot. And if you’re a seasoned Tarot reader, you’ll love the opportunity to venture deep into your soul and explore the Tarot cards in a new way that aligns your purpose with your everyday life. "Everyday Tarot takes the reader on a guided self-discovery through tarot. Filled with reassuring insight to encourage the reader to tap into their intuition and develop it, Brigit shares many insights to her own personal journey with tarot while breaking down spreads for her audience in such a way that not only strips away self doubt but empowers the reader to trust their inner compass when reading the cards"
"Everyday Tarot is such a joy to read. 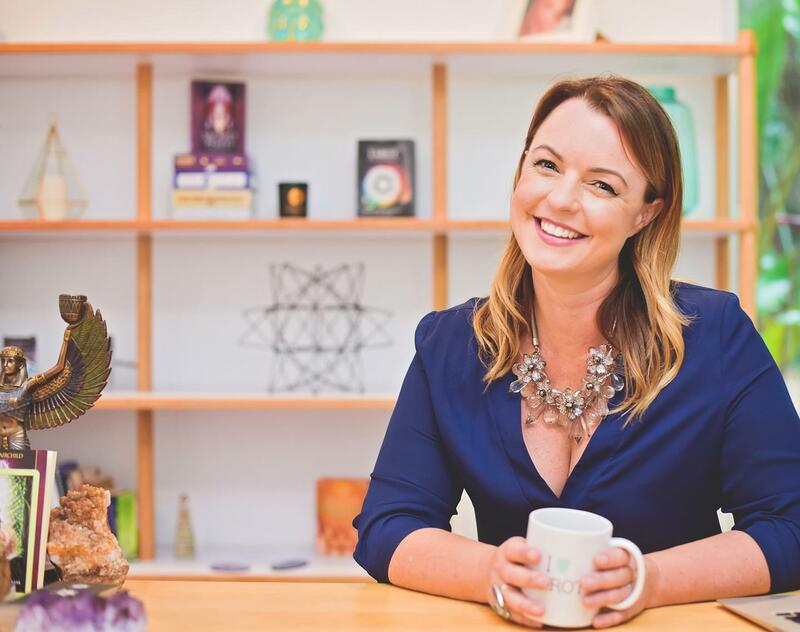 After reading Brigit's story and actionable inspiration, we went from very beginner tarot users to now feeling confident to use the tarot to unlock the answers that were already within, we just needed to listen, connect and tune in to our wisdom." “Once again Biddy hits a home run! Everyday Tarot answers all questions, dispels myths and nurtures a loving connection between you and your deck. "In all the years I've known her, Brigit has never wavered from her life’s dream to bring Tarot into everyday life conversations. Her new book promises a lot, and as usual her work delivers exactly what her vision has been. Simply crafted, Everyday Tarot takes you through the journey of understanding using Tarot for personal everyday living. A wonderful book to simplify Tarot, from the woman who makes this work very accessible for everyone." "Biddy Tarot has always been my go to and this book tops it off! Fun, inspiring, insightful and useful - reading this book not only deepened my tarot practice but also strengthened my intuition!" Betsy Le FaeFormer NYC psychic medium turned intuitive, healer & teacher in LA. A mini Tarot deck (2.5 X 3.5 inches), with 78 fully-illustrated cards. Hi, I’m Brigit and I’m on a mission to bring Tarot out of the closet and into the mainstream. I’m the Founder of Biddy Tarot – a modern, online learning community for people who love to read Tarot and who want to live an inspired life. Every year, we attract over 4 million people to our website, who are saying YES to their intuition and YES to manifesting their future, all with Tarot as their guide. Brigit Esselmont is a professional Tarot reader & teacher, intuitive business coach and spiritual entrepreneur. She is the founder of Biddy Tarot (www.biddytarot.com) and inspires over four million people each year to live more mindful and enlightened lives, using the Tarot as a guide. A self-confessed Tarot lover, Brigit can’t help but spread the love to other Tarot enthusiasts. She teaches aspiring Tarot readers how to read Tarot with confidence. And she helps Tarot professionals build their own business empires that are aligned with their soul’s purpose. For all general questions, please contact our team here. Privacy and Terms. Earnings. © 2018 Biddy Tarot. All Rights Reserved. All prices in USD.